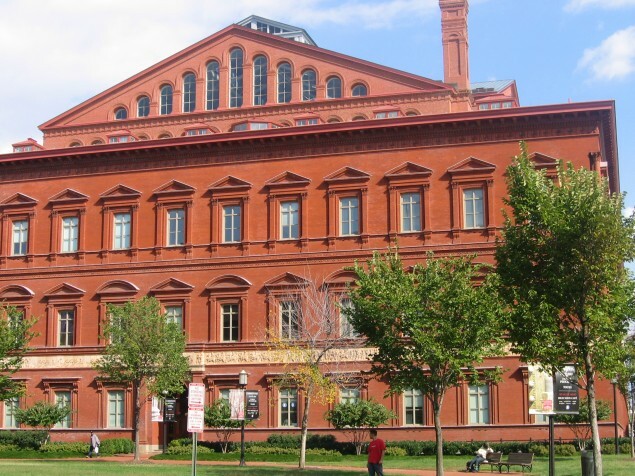 One of America’s largest historic great halls, intended for Washington’s grand political and social gatherings. For an evening, it can be your great hall. 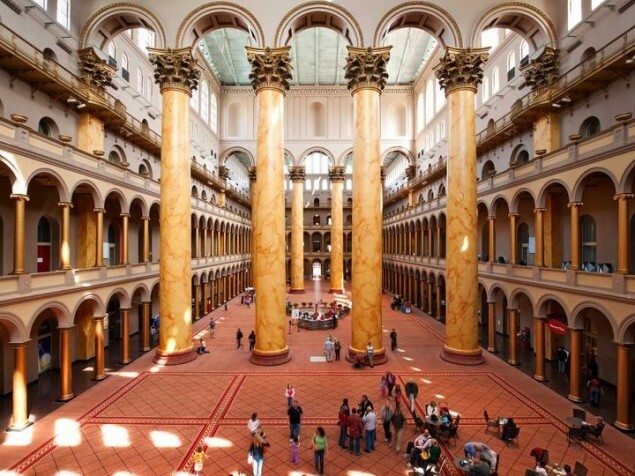 In 1882, a slice of Renaissance Italy came to America’s Capital in a big way. This is when construction began on the headquarters for the U.S. Pension Bureau. The project was designed and engineered by the same person, U.S. Quartermaster General Montgomery C. Meigs. Meig’s inspiration is clearly Italianate, of which some design elements are derived from 16th century palazzos and churches, including Michelangelos’s work. The exterior walls are almost entirely of brick. The brick patterns are well proportioned, with great height and symmetry, resembling the Roman Palazzo Farnese. 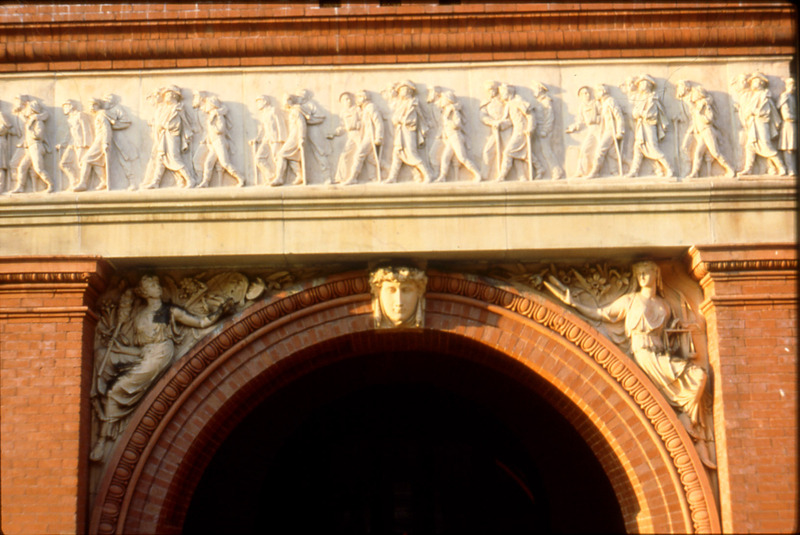 A prominent feature on the exterior walls is a handsome 1,200-foot-long terra-cotta frieze that wraps around the building, depicting a parade of Civil War military. The dominant feature of the building’s interior is the supersized Great Hall. The Great Hall is 116 feet wide and 316 feet long, about the length of an American football field. 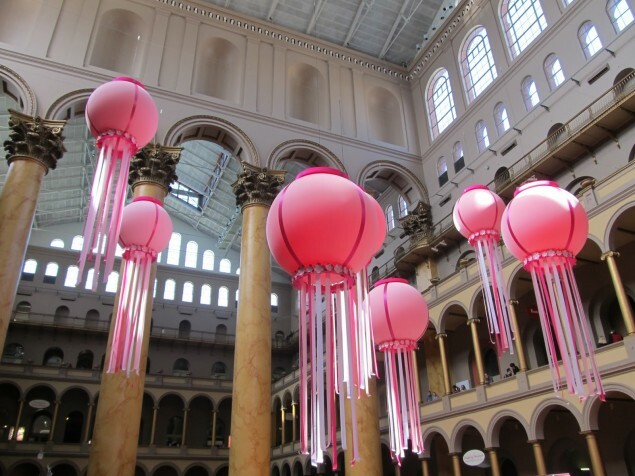 The center of the hall features a 28-foot-diameter water fountain. As spectacular as the Great Hall is in its grand floor area, it is even more dramatic in its height. The roof of this extraordinary space rises to 159 feet at its peak. The Hall is essentially divided into three “courts”, separated by two rows of four Corinthian columns. These columns are considered among the tallest in the world, at 75 feet in height and 8 feet in diameter. Meig’s “palazzo” was also ahead of its time environmentally. The design of the building’s ventilation system utilized a constant stream of fresh air, a feature of modern-day sustainable design. The huge clerestory windows below the roof allow substantial natural daylight into the Great Hall, reducing the need for artificial lighting. The building has been on the National Register of Historic Places since 1969. 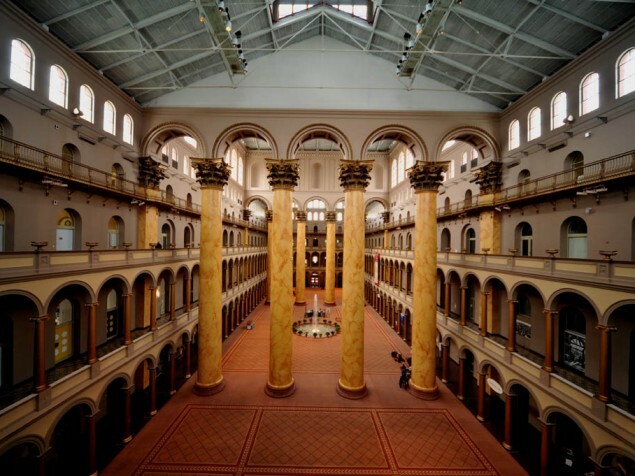 In 1978, a thorough restoration program was conducted by order of Congress, and in 1997, the building became the home of the National Building Museum. 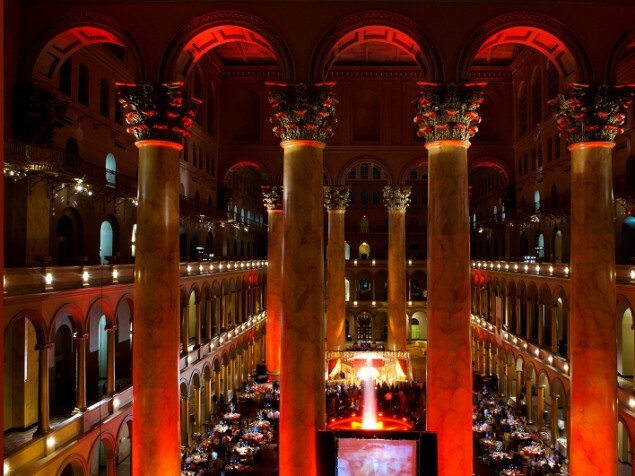 The Great Hall has hosted Inaugural balls since Grover Cleveland’s election and can be rented for seminars, product launches, and your own grand social event. Now, this is a great hall. You really need to stand in this soaring space to experience its grandeur and grace simultaneously. It is an example of the power of architecture. How fitting, then, that is a museum dedicated to architecture, engineering and design.